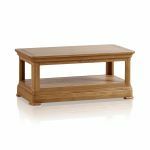 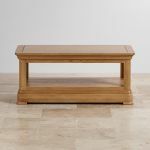 The Canterbury coffee table is a warm addition to your living room, made from stunning solid oak in a natural wax finish. 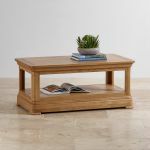 It boasts high style, and excellent function, thanks to its high quality materials and clever construction. 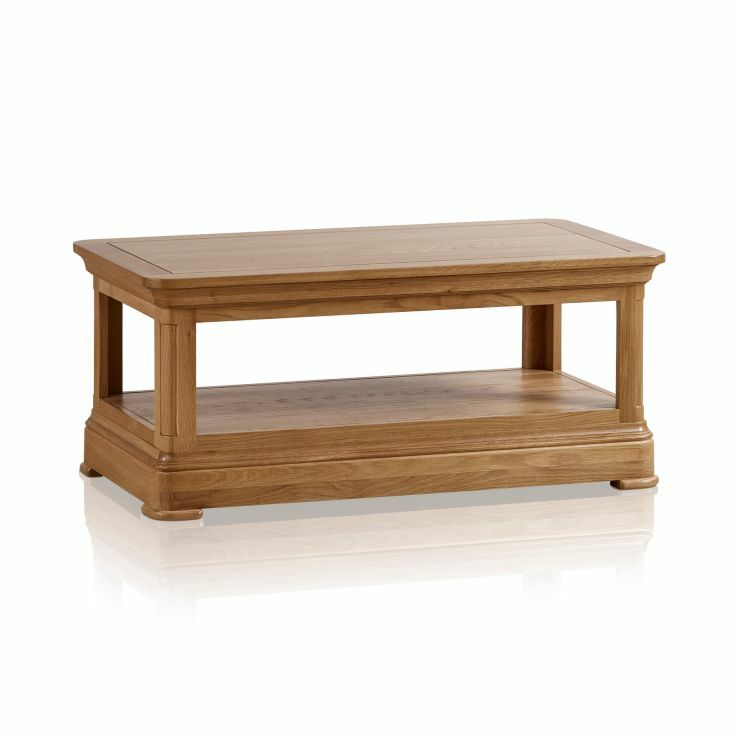 Inspired by traditional furniture design, the table boasts lots of stylish elements. 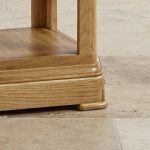 Table legs and corners are gently rounded with subtle details which catch the eye. 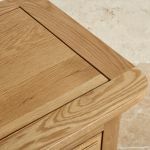 The top has cut detailing, which also helps to extend the lifetime of the piece, making it more resilient to the natural expansion and contraction of hardwood through the seasons. 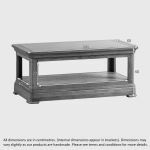 Finally, the flared cornices create a classic feeling, and the deep pedestal base not only elevates the styling of the piece, but also provides a stunning lower storage shelf. 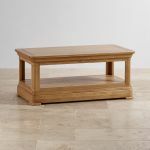 Bring this coffee table home today!